Car accidents, to put it simply, can be painful-physically, emotionally and financially. While a major impact can leave obvious injuries, a minor car accident at low speed can still result in injuries to the neck and spine that don't manifest until weeks or months later. Keep in mind that while your body is held relatively in place by a seat belt, your head and neck are not. Even soft tissue injuries, if untreated, can lead to chronic pain and arthritis. Chiropractic care can help. After a car accident, if you 're feeling moderate to severe pain, you should go to an emergency room to make sure you don't have any severe injuries. And even if you're not feeling pain or mild pain, you should schedule a visit to a chiropractor as soon as possible for auto injury treatment. Your chiropractor is specially trained in dealing with a variety of accident-related injures to the neck and spine, such as headaches and whiplash. 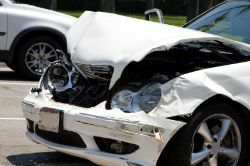 We have helped hundreds of car accidents victims not only feel good again but also recover their health by treating the cause of their injuries; therefore you have less permanent damage. Your chiropractors will perform some orthopedic and neurological tests and possible request xrays and MRl's to see whether you 're suffering from soft tissue damage or any structural injury such as a bulged or herniated disc. Depending on your injuries or range of motion, the chiropractor will lay out a plan for your auto injury treatment. The plan could include a series of chiropractic adjustments, exercises, physical therapy, exercises, rest, cold packs (to reduce inflammation) and sometimes massage therapy. We also have a referral network of orthopedic-medical doctors and attorney's when needed.